It's an investment in scholars. It's a belief that they can and will succeed. BHGH of KC is looking for sponsors or volunteers to provide opportunities for scholars to practice etiquette and go out together to dine at local restaurants. Become a Restaurant for HOPE, providing a meal or meals to serve 10-15 people. The following options are available for participation and restaurant partners will receive special recognition via website and newsletter. 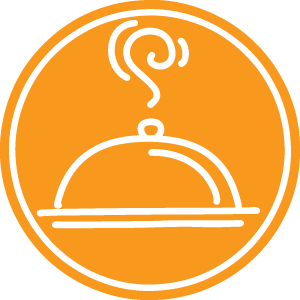 One-Time Residential MEAL CATERER: Your restaurant will cater a meal for the BHGH of KC residence, which can be scheduled for pick up by a team member or delivered to the household. Monthly Residential Meal PARTNER: Your restaurant will cater a meal for the BHGH of KC residence on a monthly basis. The meals can be scheduled for pick up by a team member or delivered to the household. One-Time Restaurant Meal HOST: Your restaurant will host scholars and chaperones for dinner (group size will be provided when meal is scheduled). This meal will allow the scholars an opportunity to dine out and practice etiquette; BHGH of KC will pay the server’s gratuity. Monthly Restaurant Meal PARTNER: Your restaurant will host scholars and chaperones for dinner monthly (group size will be provided when meal is scheduled). These meals will allow the scholars opportunities to practice their etiquette and to recognize and thank donors or volunteers who may join the group for dinner. BHGH of KC will pay the server’s gratuity. Contact us at 816.942.2335 to sign up! We would like to thank our monthly partner Waldo Pizza for providing our scholars with great experiences in the restaurant! BHGH of KC depends on volunteers to provide dinner Monday through Thursday evenings. When you donate a meal or groceries, you are sustaining scholars and offering them an example of what it means to serve others. Family dinner is an important component of daily life at the scholars' home, as they gather each evening at 6:00 p.m. for prayer and a healthy, balanced meal. PREPARE AND SHARE A MEAL! 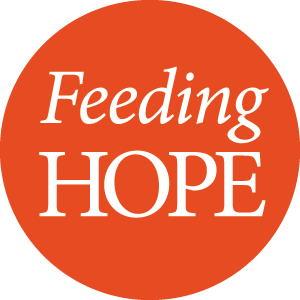 Meal Donations Click here to download our Feeding Hope Brochure! Dinner Parents Bring a meal to the residence on a monthly basis, for up to 15 people. This is a great option for individuals and groups of all sizes! Prepare and Share a Meal Bring a meal or cook in our kitchen and stay to enjoy it with our scholars and residential team. Prepare and share just one time, or on a monthly basis. Bring your family or group and/or engage the scholars in preparing the meal! Make a monthly contribution of food or household items that are regular needs for a home filled with growing boys. 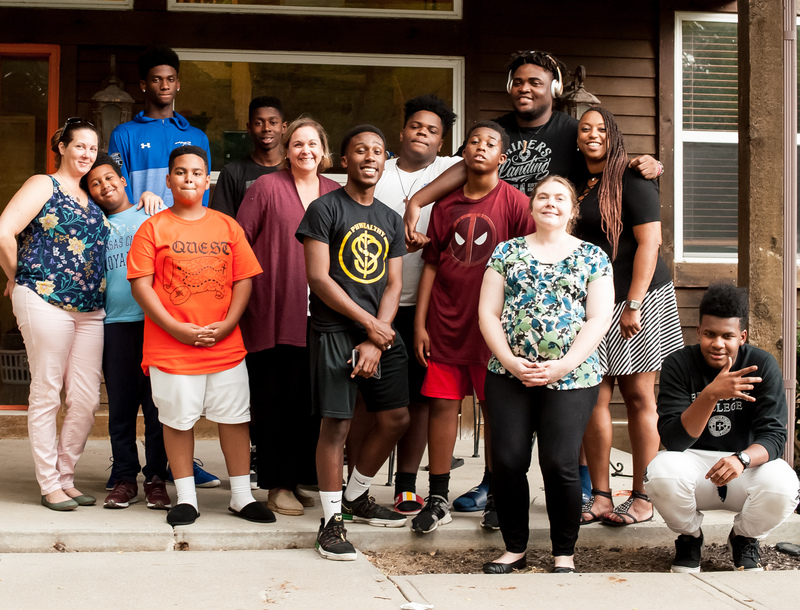 As an individual, family, group, or grocery store in the Kansas City metro, you have the chance to directly impact young boys’ lives in the community. Click for list of items to donate. Our scholars are regular kids who enjoy celebrating special days! You can help us make a birthday, Christmas, holidays and “Gotcha” days (the day the scholar moved into our program residence) very special with a gift or gift card. To find out upcoming special days and how you can help, contact our office at 816.942.2335. For more information about our Performance Management Tool, visit this page on our Boys Hope Girls Hope International network site. View our financial information and our Annual Report by clicking the links below. Additionally, Boys Hope Girls Hope of Kansas City adheres to AFP’s Donor Bill of Rights. Boys Hope Girls Hope International and all affiliates undergo an annual audit. This transparency enables us to demonstrate our sound stewardship of the resources invested by our generous donors. Boys Hope Girls Hope of Kansas City is an affiliate of Boys Hope Girls Hope International. While the Kansas City affiliate operates under a local board of directors, its own individual budget and financial audit, the IRS Form 990 is filed for all affiliates combined. Boys Hope Girls Hope of Kansas City does not receive funding from BHGH International.